May 26th 1938; the House Committee on Un-American Activities began its work of searching for subversives in the United States. The House Un-American Activities Committee (HUAC) was created in 1938 to investigate alleged disloyalty and subversive activities on the part of private citizens, public employees, and those organizations suspected of having Communist ties. Reorganized from its previous incarnations as the Fish Committee and the McCormack-Dickstein Committee and with a new chairman, the cantankerous Martin Dies of Texas, HUAC's strident attacks on the Roosevelt administration prior to the outbreak of the war did not suit the political mood of a nation that was largely in favor of FDR's leadership. All that changed, however, in the postwar atmosphere of fear and contempt for the Soviet Union, at which time HUAC's activities commanded broad popular support and consistently attracted major headlines. 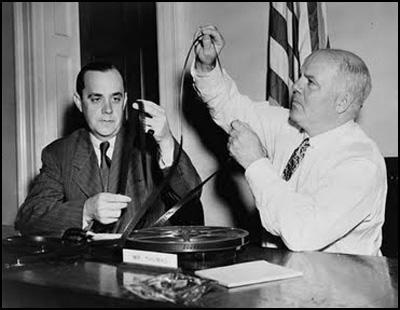 Through its power to subpoena witness and hold people in contempt of Congress, HUAC often pressured witnesses to surrender names and other information that could lead to the apprehension of Communists and Communist sympathizers. Committee members often branded witnesses as "red" if they refused to comply or hesitated in answering committee questions. In perhaps its most famous investigation, HUAC-member Richard Nixon, after weeks of dramatic hearings, was, at the final hour, able to reveal that Alger Hiss, a former State Department official, had lied to them about having "ever been a Communist." 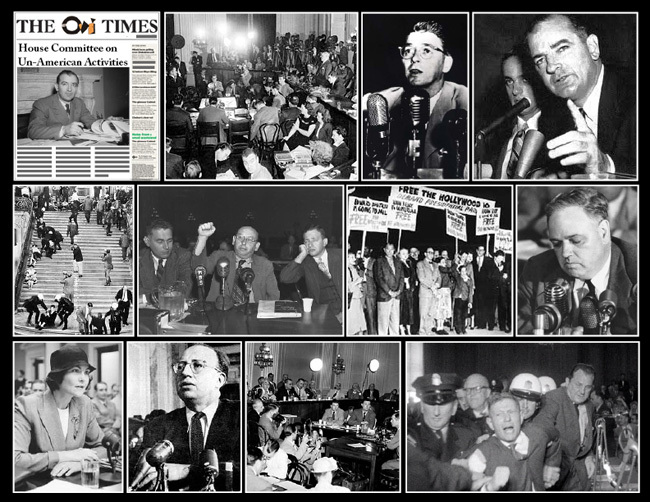 More importantly, however, the questioning style and examination techniques employed by HUAC served as the model upon which Senator Joseph McCarthy would conduct his investigative hearings in the early 1950s. Following Senator McCarthy's censure, however, and his subsequent departure from the Senate, the American public grew increasingly wary of the "redbaiting" techniques employed by HUAC and others. The work of the committee continued to decline in importance throughout the late 1950s and early 1960s until the committee itself was renamed the House Internal Security Committee in 1969, prefiguring its eventual abolition in 1975.